Day 1: Jordan Greenhaw qualifies for Day 2 on the final match of the Day 1 competition. Photo courtesy of Paul Helms. FAIRFAX — Day 1 of the Pocket Billiards competition from the World Police and Fire Games is in the books. Competitors battled in a quadruple-qualifying format administrated by Dan Madden. The field has been narrowed to the final 8 players for Day 2, and they are: Wesley Beins (Singapore), Eric Cloutier (Canada), Doug Moreau (Canada), Genadijs Kaminskis (Latvia), John O'Sullivan (Ireland), Joe Rodriguez (USA), Michael Grosso (USA), and Jordan Greenhaw (USA). 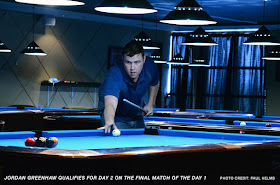 “I was pleasantly surprised today by the quality of play representing these games,” offered commentator George Hammerbacher, who’s witnessed many of the top amateurs in recent years through his work for the Action Pool Tour (USA). 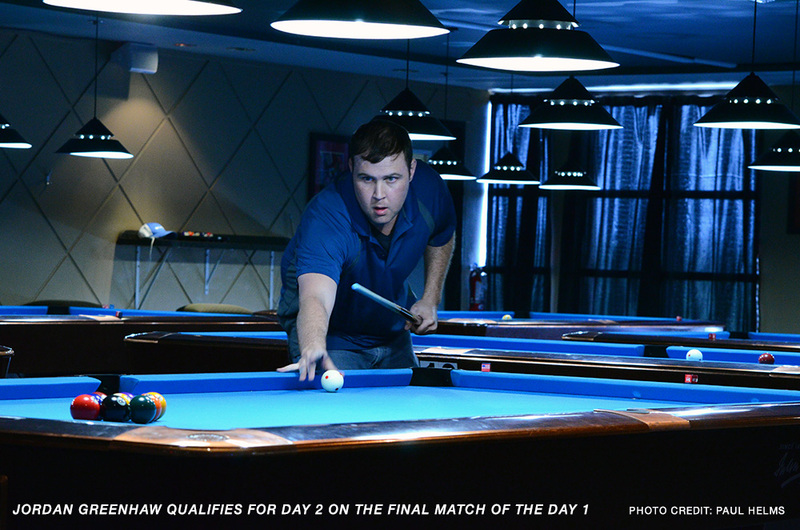 In addition to the police and fire matches, players who have been eliminated will have the chance to warmup for the next event (straight pool) with Lucasi-sponsored pro Shaun Wilkie. He will also provide a talk at day’s end, sharing 9Ball tips and experiences from his billiard career. “I'm happy to be considered and given the opportunity to participate in this event. Thanks goes to Eric Townsend for inviting me to join his team,” added Wilkie. Matches resume tomorrow from Breakers Sky Lounge​ in Herndon, Virginia at 12 noon. Medal winners will be awarded at 6pm. Enjoy this great event through the live stream available on the away channel at www.tvmike.tv.